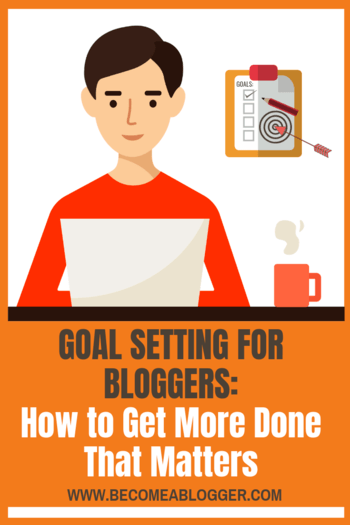 Are you accomplishing your blogging goals? Are you failing on your New Year's resolutions? In this episode, you will discover how to get more done that actually matters. I have a confession to make. Over the last 7 or 8 years, I've been a part of an amazing mastermind group. And at the beginning of the year, we get together to talk about our goals. Every year, I write down my goals for that year and share it with the other members of the group. We all do it. Yet, if I'm to be perfectly honest, I can't remember accomplishing any of the goals I shared with my mastermind groups. They are usually large goals, and I find myself putting most of those goals back on my list the next year. However, over the last month or so, I've made more progress towards my goals than I'd made in entire years previously. Why? Because of the process I've gone through. A process that I believe can change your life like it has changed mine. One that will make you way more productive. But there's good news and bad news. The bad news: It's going to take AT LEAST 10 to 20 hours to get set up. The good news: It'll save you a ton of time and help you get WAY more done. And I want to challenge you to take this seriously. You in? Then keep reading. In order to accomplish your blogging goals, it's important for you to spend the time to work out your blogging goals. 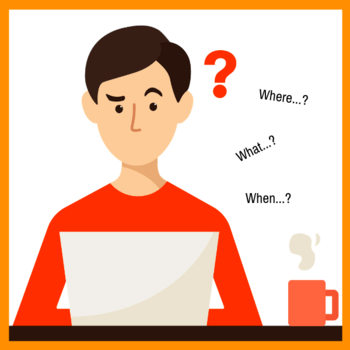 In order to accomplish the blogging goals that really matter, they need to be understood and evaluated in the proper context. Here are the steps I recommend you take. Wait a minute Leslie? Why are we going so deep so fast? Here's the fact – it will take a whole lot of work to accomplish your blogging goals, especially if they are big goals. 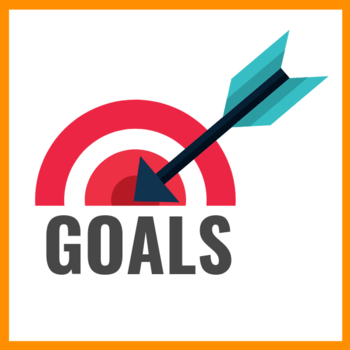 Starting with your life goals helps to give your blogging goals context. It helps you to get clear on your “why”. In the episode, I walk you through a more detailed process for coming up with your life goals. Once you understand your life goals, it's important to then think about your business goals in the context of those life goals. If you're reading this, you are most likely trying to start a blog as a business. You're not just in it to have an outlet. You want to actually make money from it. Well if that's the case, you want to set some goals for where you want your business to go. And from there, you can move on to the next step. Now that you have your business goals, it's time to focus on your blogging goals in that context. By doing it this way, you know that your blogging goals will help you meet your business goals. And since your business goals are in the context of your life goals, what you do with your blog will help you to accomplish your life goals. I highly recommend for you to listen to the episode above to see how this all plays out. In order to break down your goals, there are a few important questions that you want to answer. I also recommend that you write down your answers to these questions. This is where you want to get specific. It's not good enough to say I want to make money with my blog. It's better to say I want to make money by selling my first product by a specific date. Or I want to grow my email list to 10,000 subscribers by the end of the year. 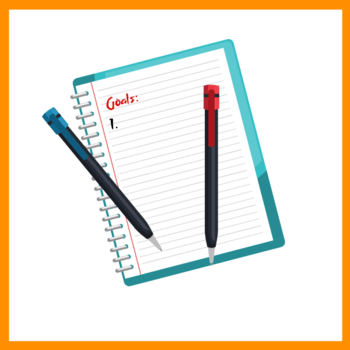 Write down your goal and be specific. Why do I want to accomplish that goal? If you understand why you want to accomplish your goal, you'll be more likely to accomplish it. Write down your “why” for each goal in one sentence. If you can't come up with a reason why then it shouldn't be on your goal list. What are the benefits of reaching that goal? If you're setting a goal, there will be benefits associated with that goal. What are they? Write them down for each of your goals. If you can't think of any benefits, I can't think of a reason why you'd want to accomplish that particular goal. What are the pains associated with not reaching that goal? One of the things I've learned on my journey as a blogger is that people are more likely to take action to solve a specific pain point in their lives. Getting clear on the pains that are associated with not accomplishing your goal will make you want to fight more to accomplish your goal. What do I need to know to accomplish my goal? This is where education comes in. To get to where you want to get, you will have to learn certain things. You can take courses, listen to podcasts, and even read books to help you learn what you need to learn. However, you need to be clear on what you need to learn so that you can pursue those resources. Who do I need to engage to help me accomplish that goal? No man is an island. In order to get to where you want to be, there are people out there that can help you. Knowing who those people are will help you plan out your strategy from connecting with them and engaging them in the right way. This is where the rubber meets the road. It's important to come up with a plan of attack. You may not know everything that needs to be done right now. But you can at least come up with a plan of things to do to figure out what needs to be done. Come up with a plan so that you can know what to act on. When will I accomplish each goal by? It's important to set a date. Then your goal becomes real. If your anything like me, setting that specific date will help you to push harder as that date slowly creeps up on you. Now that you've broken down your goals, it's important to have a way to track your progress. It's what you do on a daily and weekly basis that will contribute to the goals that you reach on a monthly and yearly basis. And tracking your progress will help you to continually be aware of where you are in the process and what's left to be done. Now that you have your huge list of goals, it can be overwhelming to try to attack them all. In fact, it's virtually impossible and you will be easily discouraged. That's why I recommend choosing 3 – 5 goals to start with. These are the goals you'll be focused on right now. At the beginning of each week, determine what you need to accomplish that week to get you closer to accomplishing those 3 – 5 goals by the dates you specified. Write those down at the top of your weekly planner, which can be a simple notebook or something like The Performance Planner by Zig Ziglar. Every day, it's important to plan out the next day's schedule and tasks. The last thing you want is to wake up uncertain about what needs to be done. Your goal is to jump to action as soon as you start your day. Knowing what to do beforehand is essential. 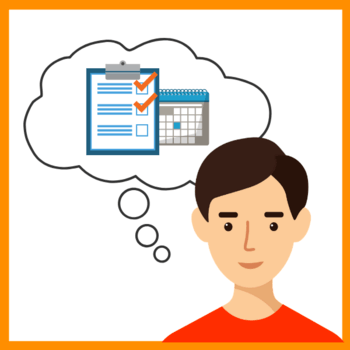 Of course, make sure the tasks your write down will help you accomplish the goals you are focused on accomplishing that week. At the end of each day, take note of what tasks you complete. More importantly, which goals didn't you work on. Make a note of that. You won't work on every goal every day. However, if you keep seeing a goal show up as not being worked on, that will prompt you to add tasks related to that goal on future days. It's also important to evaluate how your week went. Where are you in terms of your goals? What did you accomplish? Where could you use some improvement? What didn't you work on as much as you would like? I know – the plan that I'm proposing here will take a lot of work. You're welcome! Accomplishing your goals takes work. The problem is that most people are already doing the work, but are not doing the right things to help them accomplish their goals. By having the clarity I outlined in this episode, you'll gain the confidence to know that you're not wasting time. And when it's all said and done, you'll be checking those goals off quicker than ever before. So what do you say? Will you take me up on this challenge? If so, let me know in the comments area below. Great content! This is a step by step process that gives me the confidence I might be able to achieve my goals! Glad to hear it Christina. Keep me updated on how your goal-setting process goes.